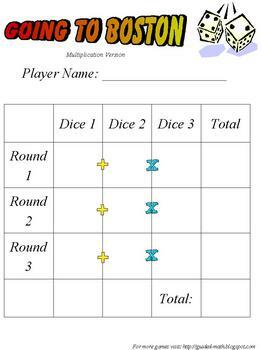 This is a great dice game to help reinforce addition or multiplication skills. I have created four recording sheets for the math dice game - Going to Boston. You are getting the instruction page and four student recording sheets. Laminate the sheets and use dry erase markers for repeated use.